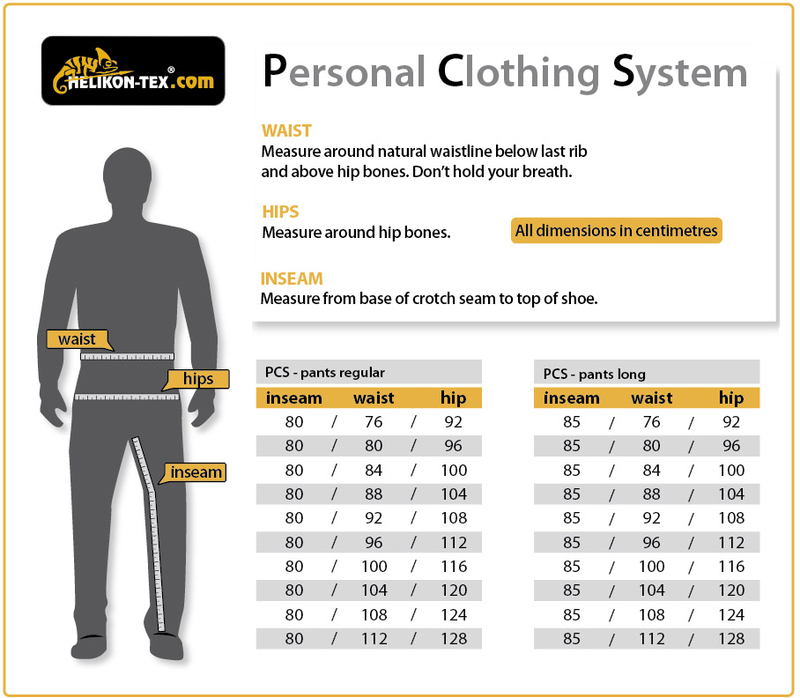 Helikon PCS (Personal Clothing System) trousers are another one of Helikons well made ,durable and fashionable trousers featuring two hand pockets with mesh inner and an additional small zip pocket inside the left one, two large angled cargo pockets and a Rear Pocket closure all with single slotted button fastening, concealed behind a flap. They feature a zip fly, draw string legs and wide belt loops which are perfect for duty belts. This is Helikon's own version of the current British army issue MTP Camouflage which is incredibly popular when you're issued MTP clothing gets lost or stolen as it is an exact match. 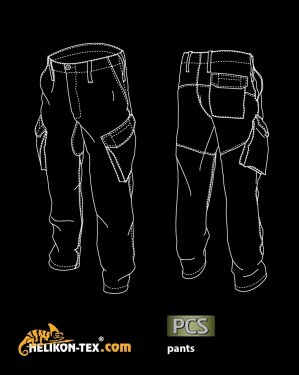 These are made from military specification materials producing incredibly lightweight yet durable trousers. Zip Fly with button waist closure.